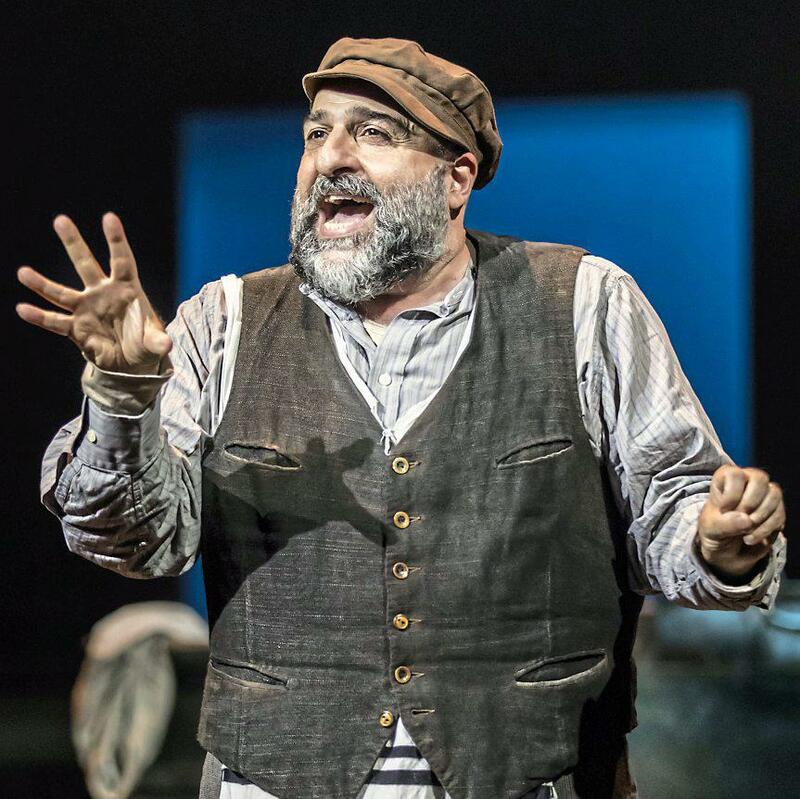 IT IS just possible that in a Russian Jewish milkman called Tevye, British Iranian comedian Omid Djalili has found the role for which he was born. This big-hearted musical set in a dirt-poor village of early 20th century Russia became an instant classic on Broadway in 1964. So did the show’s hero Tevye, a patriarch who loves the traditions of his faith but not so much that he forces his daughters into arranged marriages. He loves God too, but in a story played out against a backdrop of poverty and prejudice, that does not stop Tevye from raging to Him about the cards he’s been dealt. It’s a complaint that culminates in the show’s best known number, If I Were A Rich Man. And it is here that everything that defines Djalili’s Tevye comes to the fore. Granted, the singing voice may be a tad underpowered, but the comic teases out every nugget of comedy as his girth shimmies and sways with a grace that belies its size. Daniel Evans’s production reaches the exhilarating high to which every musical aspires with a barnstorming dream sequence in which a chorus line of zombie ancestors rise from their graves. But this is Djalili’s evening. Terrifically supported by former EastEnder Tracy-Ann Oberman as Tevye’s wife, he displays a full command of the explosive emotion with which he evokes Tevye’s tragic and comic condition. A West End transfer must be in the offing. If Djalili wins awards it’ll be no surprise. If he doesn’t get nominated, it would be a crime.